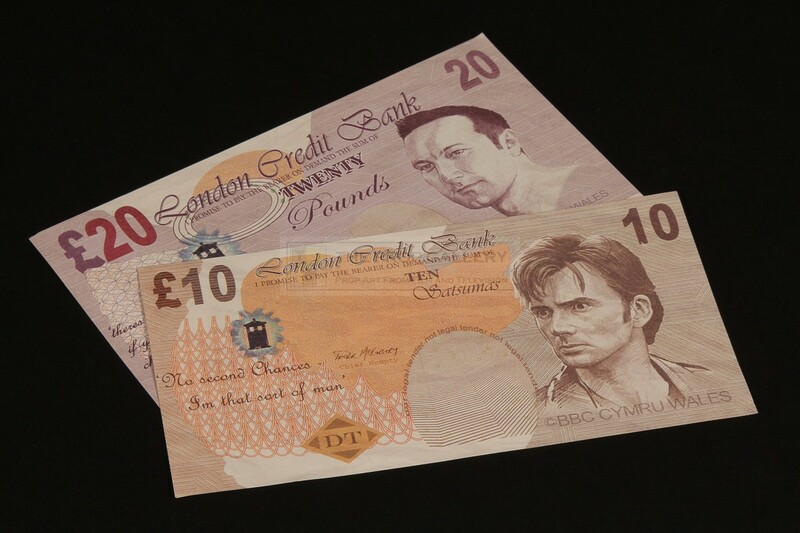 A pair of original props used in the production of the long running BBC television series Doctor Who. 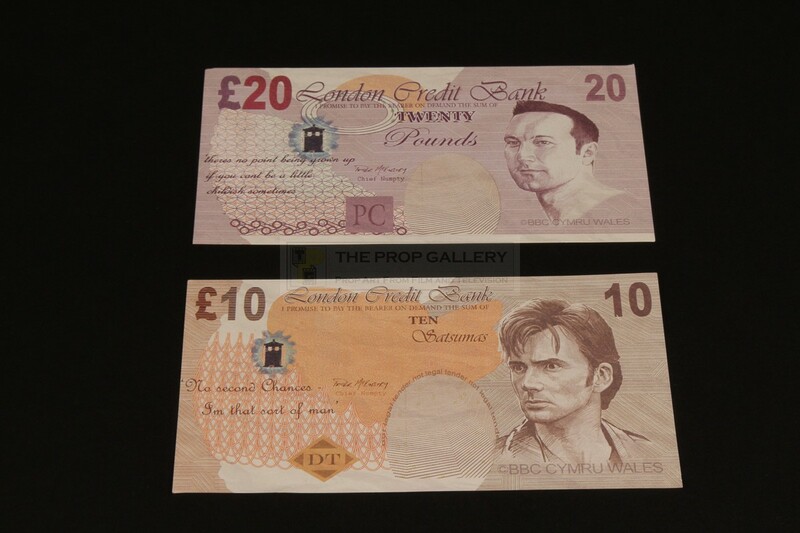 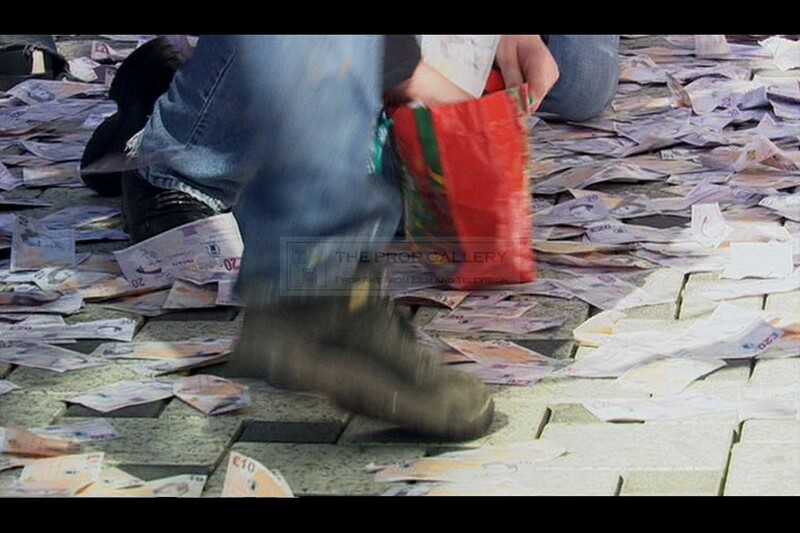 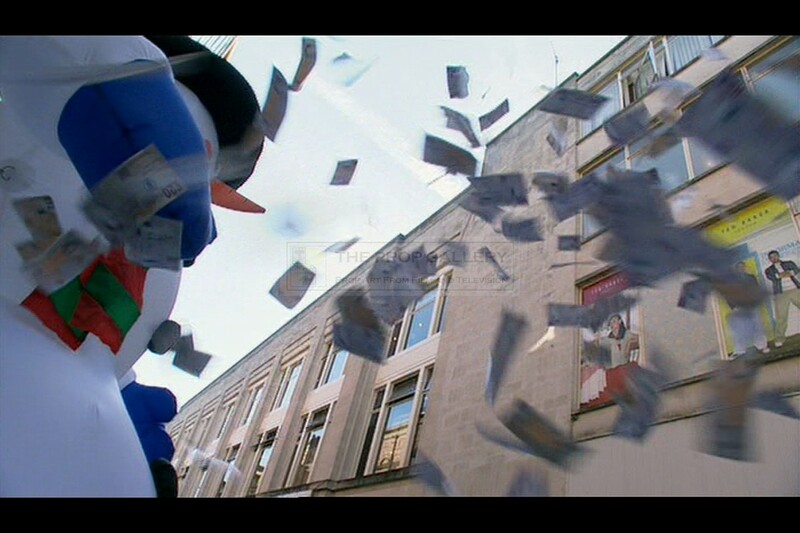 From the 2006 Christmas special episode The Runaway Bride starring David Tennant as The Doctor banknotes such as these can be seen used in the sequence where he creates a diversion by making the cash machine malfunction with his trusty sonic screwdriver. 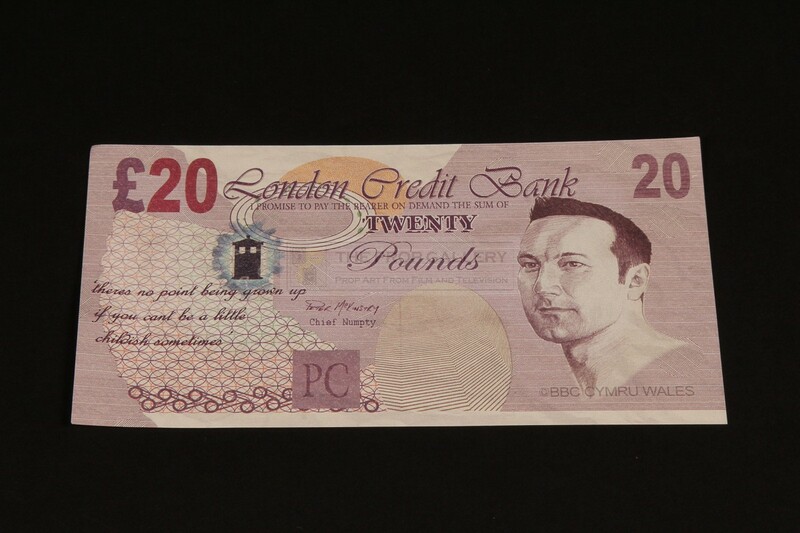 Custom printed on paper the £10 and £20 notes were designed by the art department and feature the likeness of actor David Tennant and producer Phil Collinson respectively with a graphic of the TARDIS and series related quotations on each. 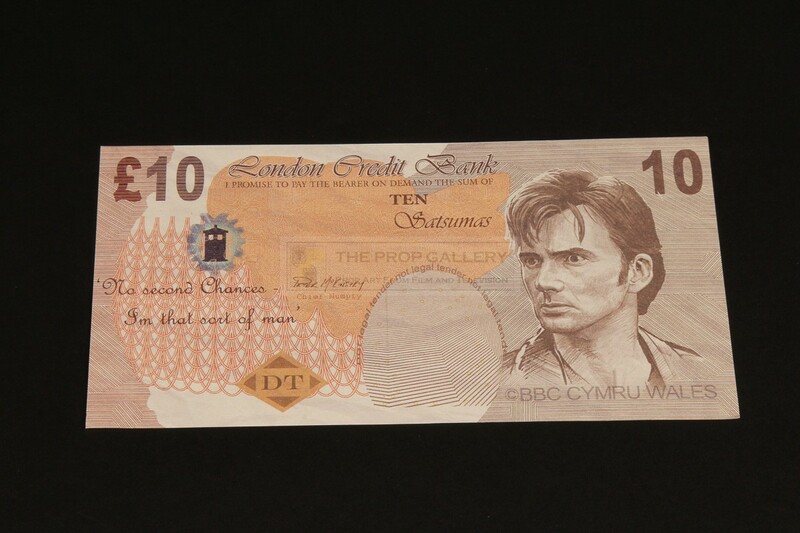 The bank notes each measure approximately 6" x 3.5" and remain in excellent condition, very fine. 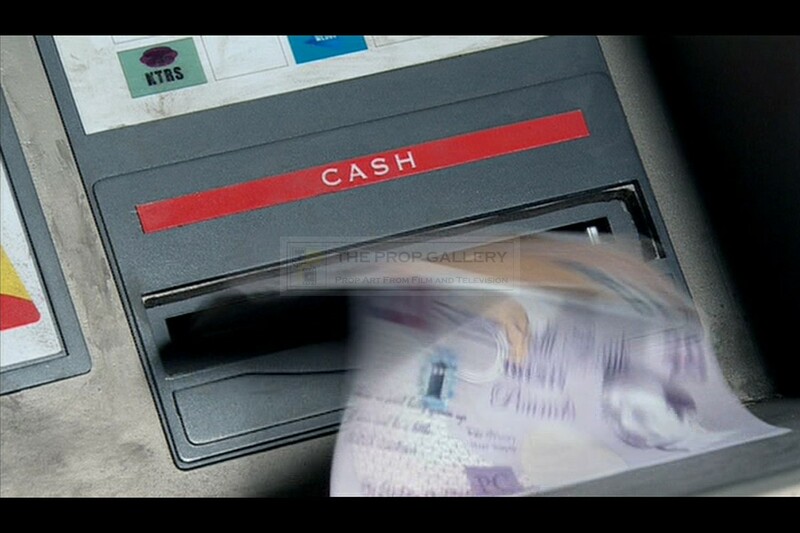 A displayable and affordable example of original material from this long running science fiction series.